You are the light of the world. So many messages from our culture tell us we’re not light, that we have to do something to become light. We should dye our hair because looking young makes us light. We need this car or that phone to really shine. The people who weigh this much or live in that part of town or wear those clothes: they are light. Do what they do, and you can be light, too. There’s nothing wrong with dying our hair, having this car or that phone, weighing this much, living in that part of town, or wearing those clothes. But let’s not fool ourselves. None of those things makes us light. This time of year many people make resolutions to do all sorts of things, with the hope that achieving those goals will make them healthier, happier, or more this or that. And they may carry out those resolutions and become healthier, happier, or more this or that. But it doesn’t make them the light of the world. Likewise, not succeeding in carrying out resolutions does not make someone not light. They, we, are already light. I wonder what would happen if, instead of focusing on our inadequacies, faults, and failures, we lived into the fact that we are already light. Our deepest fear is not that we are inadequate. Our deepest fear is that we are powerful beyond measure. It is our light, not our darkness, that most frightens us. We ask ourselves, Who am I to be brilliant, gorgeous, talented, fabulous? Actually, who are you not to be? You are a child of God. Your playing small doesn’t serve the world. There’s nothing enlightened about shrinking so that other people won’t feel insecure around you. We are all meant to shine, as children do. We were born to make manifest the glory of God that is within us. It’s not just in some of us; it’s in everyone. And as we let our own light shine, we subconsciously give other people permission to do the same. As we’re liberated from our own fear, our presence automatically liberates others. When do you know that you are the light of the world? 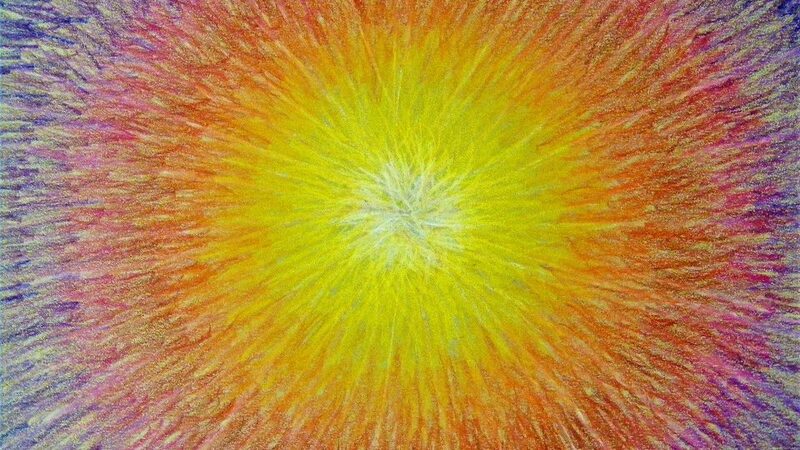 When do you feel the warmth and glow radiate from your center and out beyond you? Does it happen often? How can you “let [your] own light shine,” and thereby “give other people permission to do the same”? These questions aren’t meant to provoke guilt or shame (“I’m not shining often enough”) but to create awareness and perhaps open up new opportunities to live into who we are. Being light is not about negating the parts we don’t like or we’ve learned to be ashamed of or we hide or think we’re hiding. Our light shines brightest when we can embrace our whole selves, when we show the same tender care for those parts that make us shrink as we do for those with which we stand tall. What parts of you need your care so you can “[liberate yourself] from [your] own fear”? May 2018 be a year in which we recognize our light and let it shine.